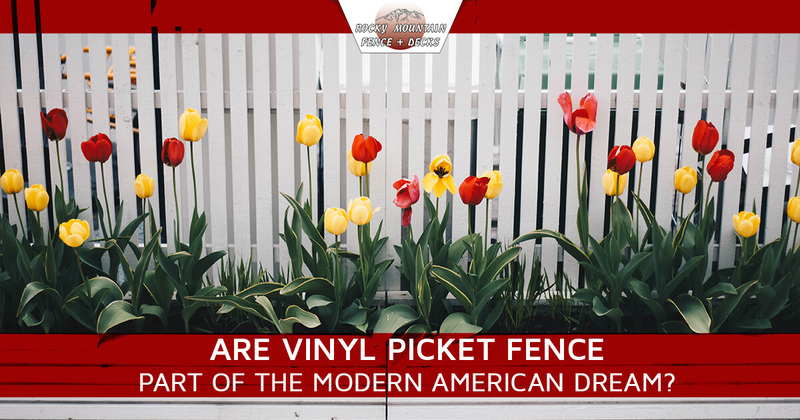 Are Vinyl Picket Fences Part Of The Modern American Dream? We’ve all heard about the classic American Dream — 2.5 kids, a dog, and a white picket fence. This old-school vision has changed much over the decades, from the family size to materials utilized for residential fencing. If the springtime Colorado weather has inspired you to chase your own dream property, Rocky Mountain Fence & Decks is here to help. Our fence company in Larimer County helps homeowners in Loveland, Fort Collins, and beyond. For years, our pergola, gazebo, outdoor living space, fence, and deck builders have worked hard to deliver long-lasting and cost-effective solutions for each and every one of our customers. We are as dedicated to achieving your home’s dream look as you are! While thought of as outdated and ineffective, picket fences today are still available to deliver that classic dream with modern benefits. Today, we’ll explain a few simple advantages of installing a vinyl picket fence on your property. Achieve the aesthetics you want with long-lasting quality with our fence installation experts! While wood does have a timeless beauty with picket-style fencing, it does have its limits. Modern vinyl products are made to withstand a wide range of abuse from pets, pedestrians, the elements, and so on. Vinyl is renowned for its low-maintenance status, requiring very little upkeep to maintain a beautiful shine for years to come. Remember that cleaning is minimal and staining non-existent for this product. Our fence contractors have the products and experience to help you find vinyl picket materials that are built to last, including top-notch UV protection. Residential fencing provides a wide range of benefits for homeowners that are typically well worth the investment, but financing a new fence can be difficult. Vinyl picket fences can be very cost-effective for those mindful of the price tag. Remember that materials and labor both play into fencing installation costs, and picket fences will require less of each. The classic spacing of this style requires less material, in some projects saving nearly 45 percent when compared to other fence styles. Less planks to install will result in less time and labor, further reducing the total cost of your picket fence project. While picket fences are not intended for optimal privacy, they can still provide a range of advantages to homeowners. For one, this cost-effective fence acts as a barrier to keep passersby aware of your property line. The design of your fence can also be changed to increase security to meet your needs. Picket fences also do a great job of keeping small children and pets within the perimeter, making your yard a safer place. The curb appeal of your home can say a lot of things about your life. First impressions are an essential part of any human interaction. Therefore, it is beneficial to make a strong first impression to guests that visit your home in the Centennial State. A picket fence is created to provide the best aesthetics to any property, capturing the wonder and optimism of the American Spirit in a simple and effective manner. If you have been making major improvements to your home’s interior or exterior, a new fence can be the perfect way to cap off all of the changes. Picket fences are cost-effective and beautiful, creating drastic differences for homes in need. Aesthetics also play a major role when it comes time to sell your home. Northern Colorado has been deemed one of the hottest places to live in 2018, creating a strong demand for residential property across most of the state. If now is the time for you to sell your home to reach the next level in life, a picket fence may prove to be one of the most cost-effective tools when selling for a premium price. Not only is a vinyl picket fence very affordable, it often results in high returns when selling property. Your calculated ROI may make a call to a local fence company a smart move! 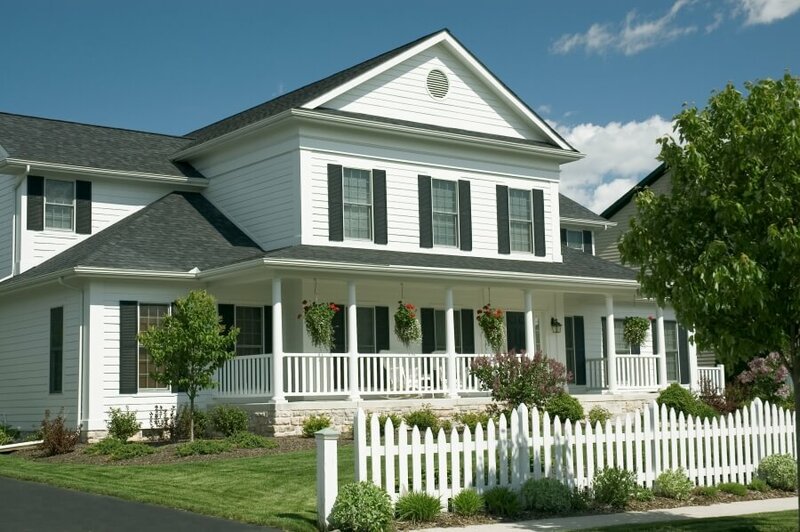 No matter the age or style of your Colorado home, a vinyl picket fence may prove to be a quality choice. Installing this style can benefit you in a wide range of ways, especially if you work with one of the qualified local fence companies in your area. Rocky Mountain Fence is proud to specialize in outdoor living spaces across the Front Range. Our fence company helps Larimer County homes to find amazing outcomes that are as affordable as they are durable. Contact us today to learn more or to get an estimate on your home fencing project!